It all really blew up with the popularity of Words With Friends, and since then a huge number of games have been released to take advantage of the “with friends” turn-based multiplayer system. Some have come from Zynga Three Free iPhone Poker Games - Which Takes The Pot? Three Free iPhone Poker Games - Which Takes The Pot? 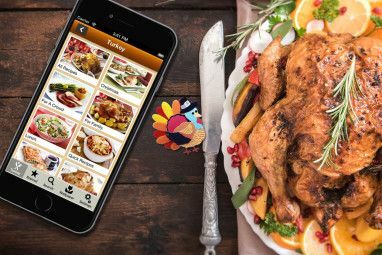 One of the most popular card games in the real world is Texas Hold 'em, and it is a game that adapts itself very well to the iPhone, because an iPhone is always connected; making... Read More , the original creators of Words With Friends, and some have come from other developers. Regardless of who is making the games, more keep coming, and a few of them are really good. The games on this list feature asynchronous multiplayer, but instead of being simple word games, this list features quite a bit more action. Word games are all well and good, but sometimes it’s nice to engage your friends in a game that is a little more intense. Best of all, each one of these games is free-to-play, so you can enjoy them without opening your wallet! Don’t forget to check out our other articles which showcase asynchronous multiplayer games such as this collection of popular free iPhone games 3 Free iPhone Games That Are Dominating The Charts Because They Are Awesome 3 Free iPhone Games That Are Dominating The Charts Because They Are Awesome Plenty of games cost money, but you could easily spend your entire iPhone owning life playing quality free games like the ones I am going to talk about here. Read More and our review of Draw Something. Endless running games are incredibly popular on iOS. Games like Temple Run Temple Run 2 Takes What You Loved About The Original & Makes It Better [iOS] Temple Run 2 Takes What You Loved About The Original & Makes It Better [iOS] Temple Run is one of those rare iOS games that went completely viral on the App Store. The fact is, there are new games released continually on iTunes, and most of them never even make... Read More and Subway Surfers both gained incredible popularity, so why not combine endless running with asynchronous multiplayer? 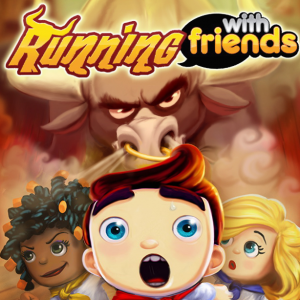 That is exactly what Zynga did with Running With Friends. 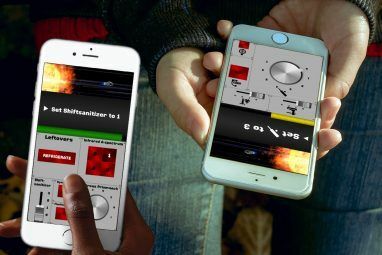 It features the same functionality you will find in other Zynga multiplayer games, so you can play with strangers and people you already know. Not only does this game feature the same comfortable interface, but the actual gameplay is very good. Each game you spin a wheel and get power ups before you start running, which infuses the gameplay with a bit of pot-luck. From there, it is a battle between you and a friend to see who can earn a better score on the run. It’s a really fun game, and is likely to become the next big thing on the App Store. Mini Golf MatchUp from developer Scopely features the ability to go head-to-head with a friend in an intense game of mini golf. Social connections come in the form of Facebook syncing, so you can find real friends to play with or use your phone’s contacts to find other friends. It is also possible to play with random strangers if you want to be more active. There are over 70 different holes in the game, so there is plenty of variety to keep you and your friends coming back and playing the game for hours on end. Each game consists of five holes, which means a game does not take too long to complete. In each game, you will be collecting coins and gems that help increase the base score accumulated from sinking the ball in the hole as quickly as possible. I would have never thought of it, but mini golf actually makes a perfect asynchronous multiplayer game. If you want something new to play with your friends that is more than a word game, you should definitely download Mini Golf MatchUp. If you are looking for a deep asynchronous game, look no further than RAD soldiers. It features some intense, turn-based strategy gameplay that can be played online with friends or in single player mode against the computer. Every soldier has unique abilities that will force you to think about every single move you make. RAD Soldiers features a slick art style, fun gameplay, and plenty of depth to keep you coming back. There are plenty of unlocks to collect including new soldiers, weapons, and outfits. The scale of the maps is small, which helps keep fights filled with action. Instead of spending multiple turns moving soldiers into position, within a turn or two, you and your friends will be fighting, which is perfect for a quick pick-up-and-play iOS game. That said, there is still plenty of strategy required, so don’t think just because the game is combat focused it’s not strategic. If you are sick of the same old asynchronous word games on iOS, these action packed games should work perfectly for you. Whether you want to run, play golf, or engage in wars, these games have you covered. Check out more of our favourite iOS games on our Best iPhone Games page. What asynchronous games do you enjoy on iOS? Hit the comments section below and let us know! Explore more about: iPhone Game, Word Games. Musket Smoke (iPhone, iPad).. it blows away all the others with tactical depth. A game I have been playing over a year now. Cannons (ranged and grape shot), Cavalry charges, melee, musket fire.. There is even a sequel in the works. Great list. Do you have any suggestions for Android?